ANN ARBOR– Ashley’s Hockey Franchise came under scrutiny Friday when a picture circa 1947 began circulating clearly depicting two contemporary Ashley’s players. 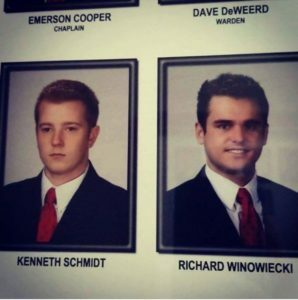 “You can clearly see that (Ricky) Winowiecki and (Kenny) Schmidt are in their mid to late twenties in this photo, which means that they would be in their nineties right now,” said conspiracy theorist and author of Alien Abduction: What’s the Probe-lem? Mason Freeman. A 1947 picture showing what appears to be Kenny Schmidt (left) and Ricky Winowiecki (right) suggests they may be long-lived aliens trying to infiltrate the beer league in Ann Arbor as part of a larger invasion force, according to alienologists. 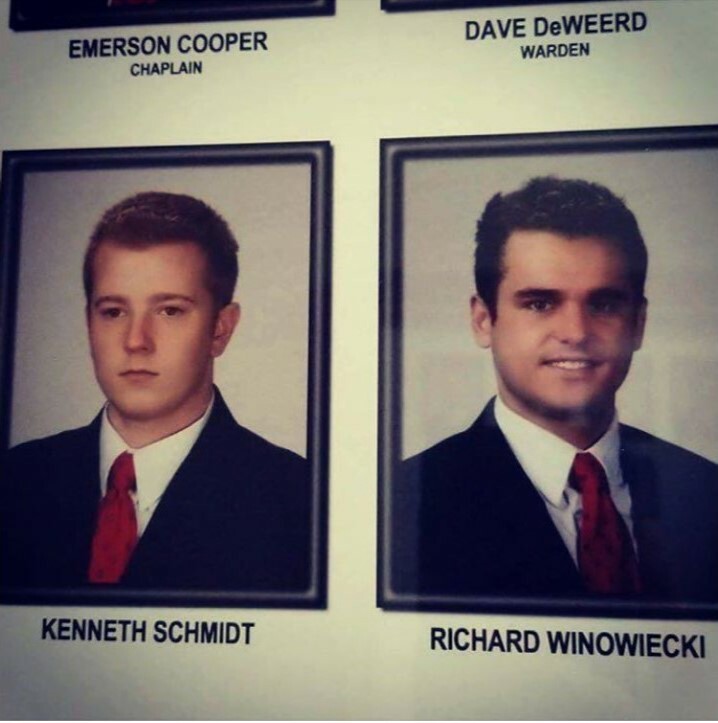 Freeman, who works out of his trailer in Arizona as an adjunct professor for the Department of Alien Studies at Cabella University Online, has concluded that Schmidt and Winowiecki may, in fact be part of a “larger invasion force” set to take over government agencies by infiltrating corporations and government strongholds. The fact that Area 51 is in Nevada did not deter Freeman, who also implicated Chris Sutton as a potential alien, noting that he is “conveniently” heading for Las Vegas this weekend. “They’re coming for us,” said Freeman ominously.